Published in the International Journal of Science Education, Margaret Brooks’ article, “Drawing, Visualization and Young Children’s Exploration of “Big Ideas” explains how important drawing is for children. Brook’s notes that “drawing is both a means of communication as well as a problem-solving tool. Through drawing [children] are not only able to see what they are thinking, they are also able to play around with and transform their ideas (Brooks 2009).” Even more interesting is that she believes that drawings are part of the learning process and should not be weighed as a final product. This research lead to our final project, SUMMER SKETCHBOOKS! 527 staples, 6 packs of drawing paper and over 200 sheets of colored construction paper later, these small books are now in the home of each student (or at the bottom of their backpack). These books provide at least one creative outlet for summer fun (and limitless drawing possibilities). I feel strongly that drawing plays an important role in education. Drawing helps students develop visual communication tools, important observational skills and learn how to express themselves in different ways. These sketchbooks are the perfect place for “bad” and “terrible” drawings. In fact, perfect drawings have no place in a sketchbook. These sketchbooks are all about figuring out how lines go together (or don’t), how shapes can be use to create different (even abstract) images, sketchbooks are a place to experiment, create and have fun. The best part of a sketchbook is it is YOURS! Google defines creativity as the use of the imagination or original ideas, especially in the production of artistic work. Imagination and original artwork often go hand in hand, but one of the wonderful things about art is sometimes it happens accidentally. These creative mistakes, happy accidents or beautiful oops (the latter also happens to be a great book) happen on a daily basis and are an important part of the artistic process. Learning to work through these incidents are incredibly important. This project was created to force students to see their work differently, instead of beginning a project with a beautiful vision of their finished product, students have no idea what they are creating (and for the most part). Before you panic and imagine our art room as a giant free for all, this is an incredibly controlled project that gets even those students wishing they were in PE excited to create. We started creating shapes, then assembled the shapes together to create fish, dogs or cats (depending on the grade level). Step 1: Create a round shape from a rectangle. Step 4: Assemble into a fish & paint! Kindergarten and 1st grade created these dogs! 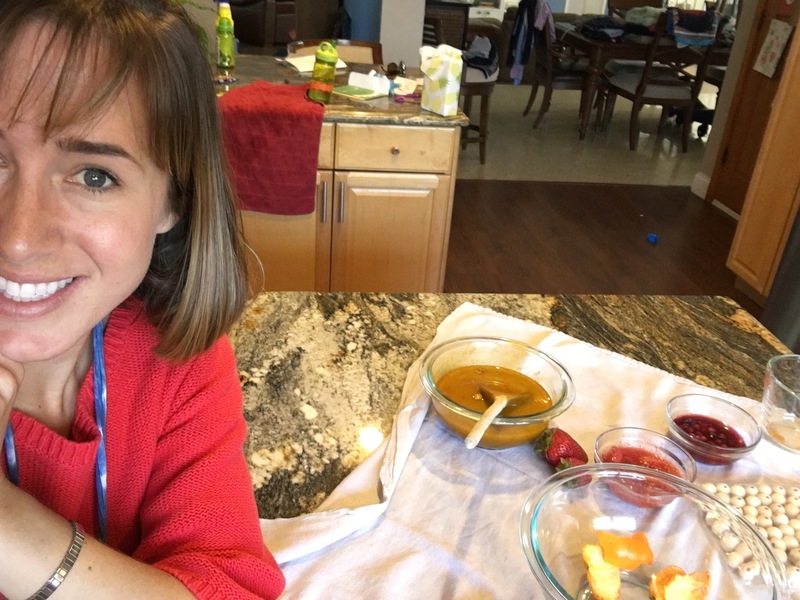 Today Pre-K learned about pigments and created a natural turmeric dye to use on a piece of cotton…. One of my students asked me how paint got its color. Of course, I could have simply explained the color comes from pigments, perhaps shown a YouTube video, but that would not be nearly as fun (or as memorable). That amazing question inspired our next lesson. 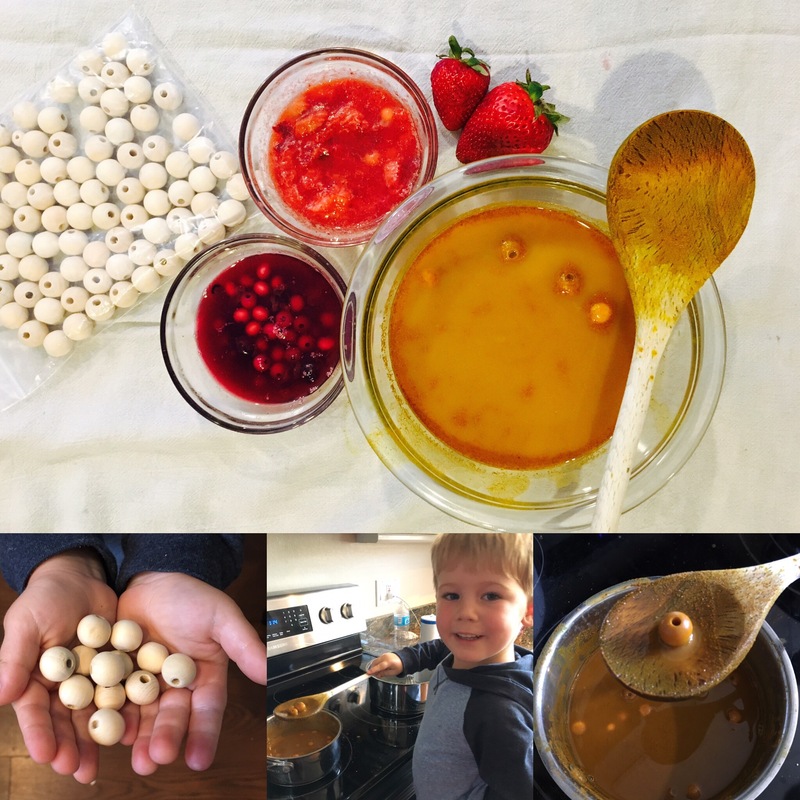 Over the weekend I began experimenting with creating effective natural dyes, safe for little (and big) hands. 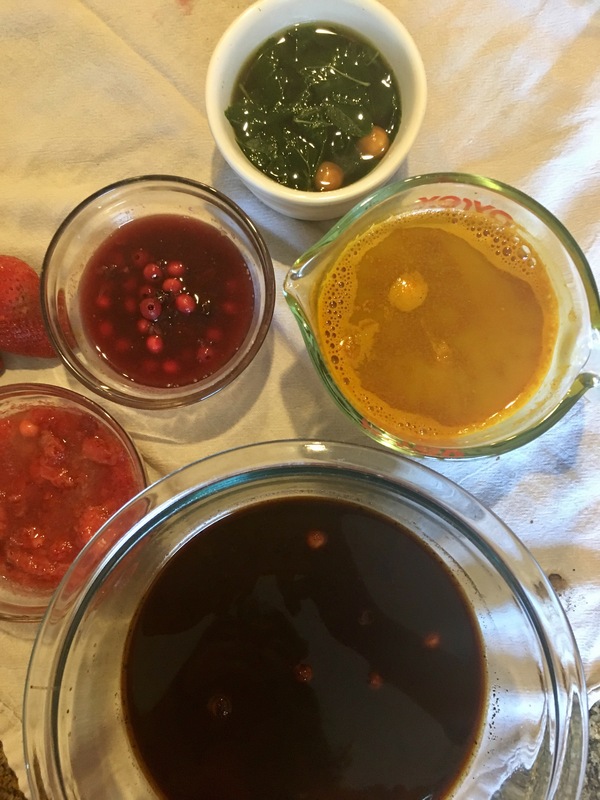 Next week we will begin to create our own dyes using turmeric, blueberries, mint and beets. Here’s how it works…. Bring water to boil and stir in turmeric. Add 15-20 unfinished wooden beads and salt. Continue to boil for 5 minutes. Turn off heat and allow beads to soak in turmeric bath until cool. Rinse until water runs clear. Pre-soak beads in distilled water. Bring water to boil and stir in turmeric and salt. Allow mixture to cool. Place beads in cool dye bath and allow leave overnight. Rinse beads until water runs clear. Turmeric beads (yellow), blueberry beads (magenta) and blackberry beads (light pink). 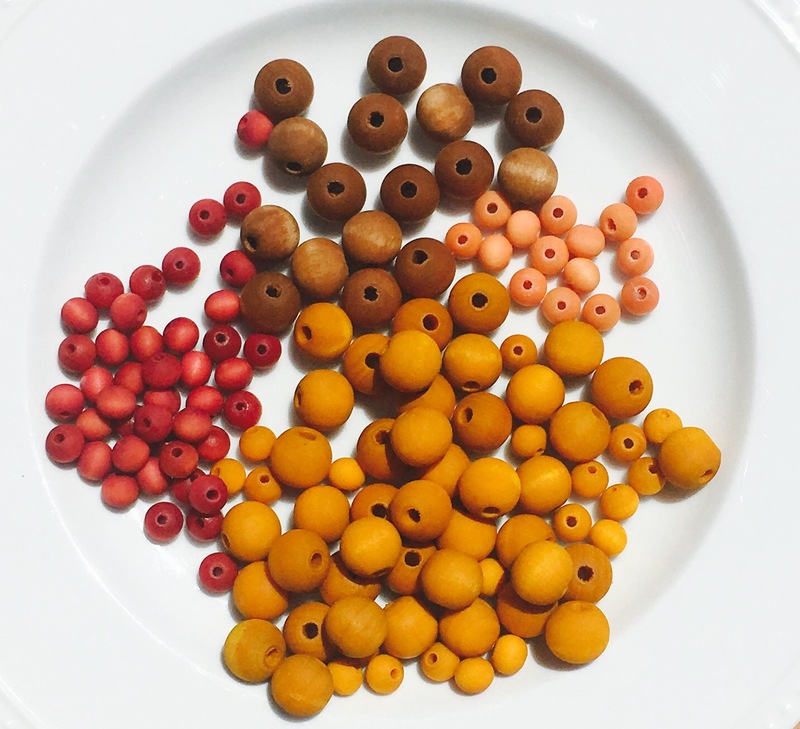 The blackberry beads were dyed using a cold water technique while the brighter beads were done using hot water.